The author of My Name Is Maria Isabel offers an inspiring look at her childhood in Cuba in this collection that includes Where the Flame Trees Bloom, Under the Royal Palms, five new stories, and more. 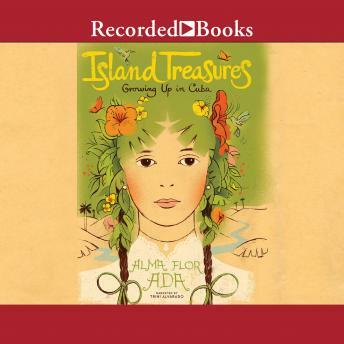 These true autobiographical tales from renowned Hispanic author and educator Alma Flor Ada are filled with family love and traditions, secrets and deep friendships, and a gorgeous, moving picture of the island of Cuba, where Alma Flor grew up. Told through the eyes of a child, a whole world comes to life in these pages: the blind great-grandmother who never went to school but whose wisdom and generosity overflowed to those around her; the hired hand Samone, whose love for music overcame all difficulties; the beloved dance teacher who helped sustain young Alma Flor through a miserable year in school; her dear and daring Uncle Medardo, who bravely flew airplanes; and more. Heartwarming, poignant, and often humorous, this wonderful collection encourages readers to discover the stories in their own lives-and to celebrate the joys and struggles we all share, no matter where or when we grew up. Featuring the classic and award-winning books Where the Flame Trees Bloom and Under the Royal Palms, Island Treasures also includes a new collection, Days at La Quinta Simoni, many new family photographs, and a Spanish-to-English glossary.